An inspiring introduction to a vital scientific field. The reader is taken through ten mathematical derivations that lead to important results, explaining in a hands-on manner the key concepts and methods of theoretical population genetics. The derivations are carefully worked out and easy to follow. Particular attention is given to the underlying assumptions and the mathematics used. The results are discussed and broadened out with relevant current implications. All topics feature questions with helpful answers. 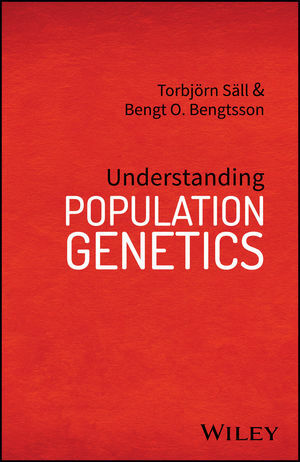 The book is intended for the reader who already knows some population genetics but requires a more comprehensive understanding. It is particularly suited to those who analyse genetic data and wish to better grasp what their results actually mean. It will also be helpful for those who wish to understand how population genetics contributes to the explanation of evolution. Or as the writers claim: If one wants to understand life  in all its improbable and amazing richness  one must start by understanding population genetics. Torbjörn Säll is Professor of Genetics at Lund University, Sweden. Torbjörn received his PhD from the Swedish University of Agricultural Sciences with a thesis on recombination variation in barley. He has worked on genome evolution in relatives of Arabidopsis and how to identify deletions from SNP data. Recent research concerns genetic analyses of allergy and blood disorders. Bengt O. Bengtsson is Emeritus Professor of Genetics at Lund University, Sweden. Bengt received his DPhil from Oxford with a thesis on chromosome evolution. His work covers inbreeding avoidance, partial asexuality and genetic conflicts, but he has also investigated a horizontal gene transfer in grasses. He served as President of the European Society for Evolutionary Biology 1989–91.